There are 7 other images of this object. This object has no known copyright, and as such we offer a high-resolution image of it. See our image rights statement. 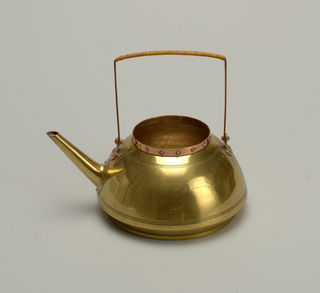 See more objects with the tag coffee/tea drinking, tea, brass, tea set, caffeine, kettle. See more objects with the color grey dimgrey grey darkslategrey or see all the colors for this object. 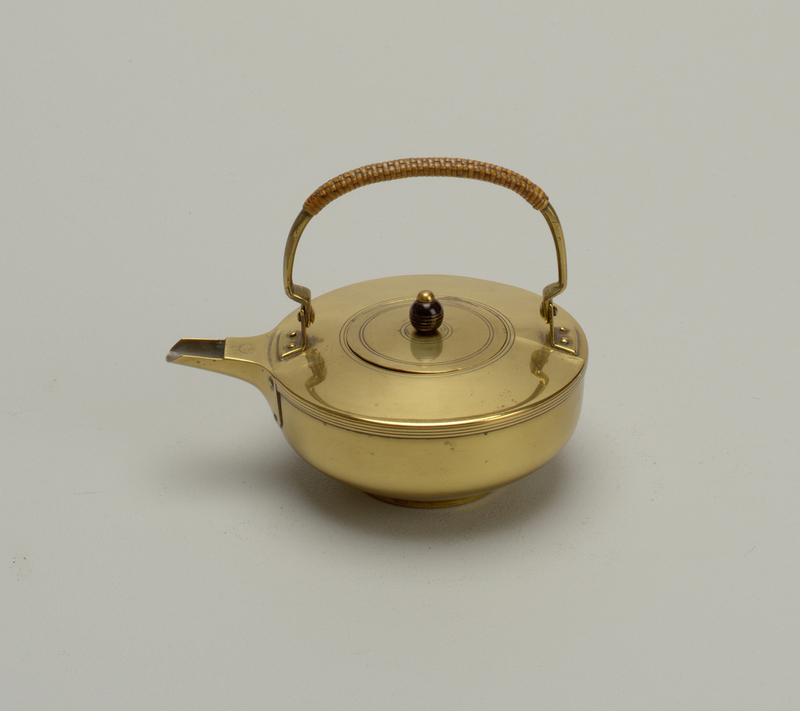 This and 5 other objects are a part of a set whose first object is Tea Set (Netherlands). This is a Tea kettle and stand. It is dated ca. 1903 and we acquired it in 1986. Its medium is brass, copper, glass. It is a part of the Product Design and Decorative Arts department. Metalwork unmarked. Pressed glass candle holder marked "Waxine T Light."